A cup of tea is a thing of beauty, in our eyes. So it was with pleasure that we helped Aussie tea specialists T2 with its latest collaboration. As part of London Design Festival, one of the biggest get-togethers in world for the design community, we teamed up with pattern pioneers PATTERNITY, to create a series of features including three-dimentional window displays, curated talks and bespoke pieces of tea-ware. The talk took place last week at the London Newcastle space on Redchurch St with PATTERNITY founders Anna Murray and Grace Winteringham leading the audience on a journey through their fascinating design process, inspirations and favourite collaborations. Our work ensured a 70-strong audience including titles such as It’s Nice That, Wallpaper, Dezeen, Sunday Times Style, On Office and House & Garden, as well as a strong presence from influential artists, illustrators, designers and photographers. Following the talk we hosted a festival tea-party at T2’s Shoreditch store a few doors down, offering members of the design community some one-on-one time with Anna and Grace, while enjoying a few splendid tea-infused cocktails. And the media loved the collaboration to, with Time Out calling it an event “not to miss” and the Evening Standard including it in their online ‘designers’ recommendation. In addition, we secured piece in the right places including London culture site The Metropolist, influential design platform It’s Nice That, ideas hub PSFK, girl about town blog Citylicious and a rather lovely double-page spread in the Irish Examiner culture section. The collaboration helped cement T2’s design credentials, putting them among the right company. 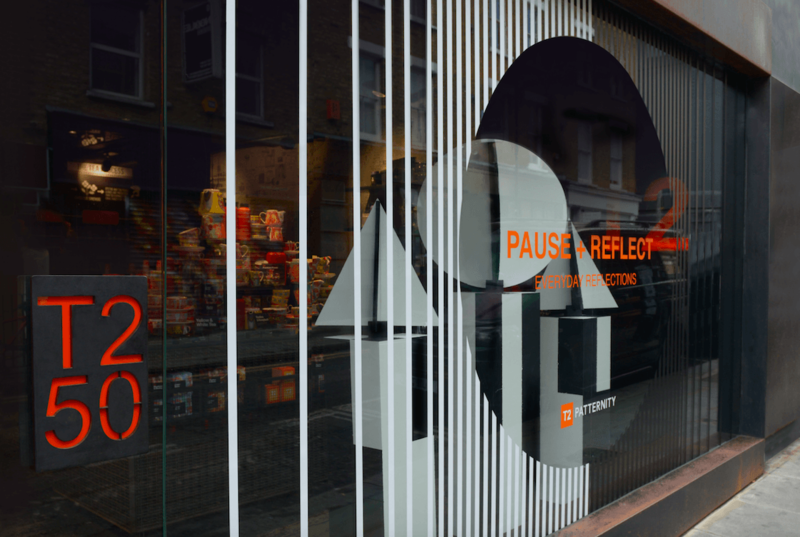 Scores of people stopped to view the stunning window display and traffic to the Shoreditch store increased as festival goers stopped to enjoy a brew.